Well, it's been a year since I gave birth to Amelia and started loosing my baby weight. 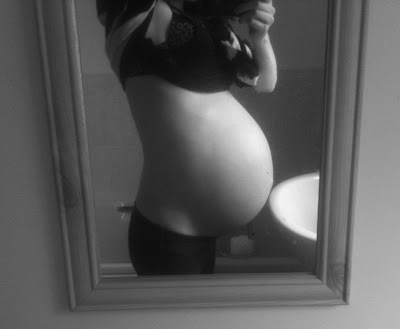 I have to admit, I lost quite a lot of it straight away and was just left with this little podgy belly! Which has stayed with me the whole year! Mainly due to the fact that I am still breastfeeding and am constantly hungry!! I do like my food, and Dr pepper which has been hard to cut down on. Breastfeeding has however helped because if I wasn't I'm pretty sure I would be twice the size I am now. 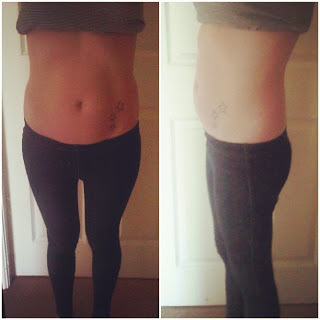 I didn't put on too much weight when I was pregnant, I went up to 8 and a half stone when pregnant so after I gave birth I went back down to 7 and a half straight away. I have always been very slim, slim built and skinny legs which I hate! I've always struggled to find jeans that fit me properly and when I was 16, 17 found myself still buying from the kids section! Thankfully I now fit into a size 6 (UK) but even then it's a struggle to find some that fit properly. 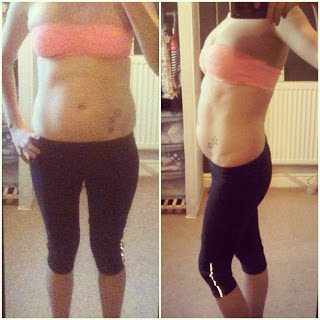 I tried to excercise before going on holiday in November at which I would be 6 months postpartum, if you could call it exercise... I would do a few measly sit ups a day. I wish I had bought some gym equipment or even gone to the gym every now and again. I wasn't 100% happy with my body when going on holiday but it was better than it had been. Here are some progression photo's from the past year. So as you can see above, theres not much difference at all! I may have toned up slightly, and lost a bit of fat on the sides but that's it! The reason being is because I haven't exercised!! I regret not doing so now, and wish I had even played on the kinect regularly, gone for a run or even done a work out DVD. Truthfully I couldn't be bothered and would but rather blog in my free time, but now being back at work and on my feet I don't have an excuse. I'm not going to join the gym or run a marathon but I am going to do exercises at home. I would like my belly to be flat for this summer so I don't have to hide it. Have you had trouble with loosing the last of your baby weight? How do you loose it? I have lost so much in the last year since Emma was born! No working out either. I chose not to work out because Emma was and is still being breastfed. I don't have the appetite I would need if I worked out and breastfed her. Are you kidding me? you look great! I have always had the same issue. Too skinny for any pants! I was in kids pants until high school and they never fit right until after puberty. 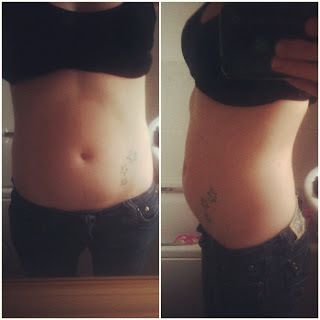 Now that Im 30 weeks pregnant I have a big belly but Im skinny everywhere else. Hopefully I look as great as you did a few weeks after! You look amazing! you look amazing! 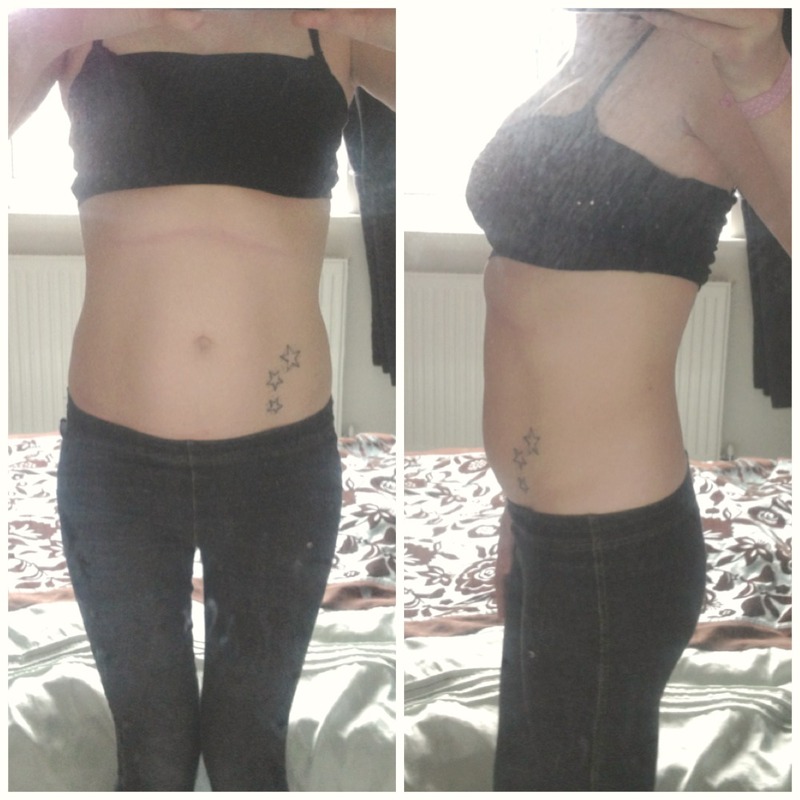 I just went through surgery to fix my postpartum body because my muscles separated (normal) and didn't go back together (probably not normal). I looked 4-5 months pregnant up till the surgery.